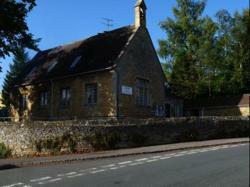 Longborough School is situated in the centre of Longborough village, surrounded by the beautiful Cotswold countryside. Children are admitted from the village and surrounding area, together with others who have exercised parental choice, preferring our small school environment. The towns of Moreton in Marsh, Stow on the Wold, Bourton on the Water and Chipping Campden are within easy reach. The school is fundamentally a Christian foundation and although now 'controlled' by Gloucestershire Local Authority and fully funded by them, the Diocese of Gloucester still owns the building and surrounding land. Early in the 19th Century, there was a proposal to build a new school at Moreton in Marsh, which would also cater for children from Longborough and other local villages. The Leigh family, who owned much of the village, were asked for a contribution, but were strongly against Longborough children having to walk to Moreton in bad weather, which would involve passing over rough and marshy ground. The Leigh family preferred to put their money towards a new school in Longborough and thus Longborough School came into existence, which was situated on the corner of Waterstyles footpath, where Meadow Lodge now stands. Elizabeth Brown was appointed as the first head mistress. For a short time, the school was moved to the Barn at Bean Hill. 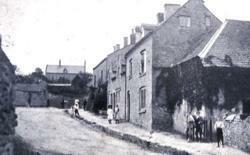 Thereafter, it was moved to its present site and was opened in 1875. In 2006, following strong opposition, a proposal to close Longborough Primary was abandoned and in 2008, it was federated with Swell Primary School.